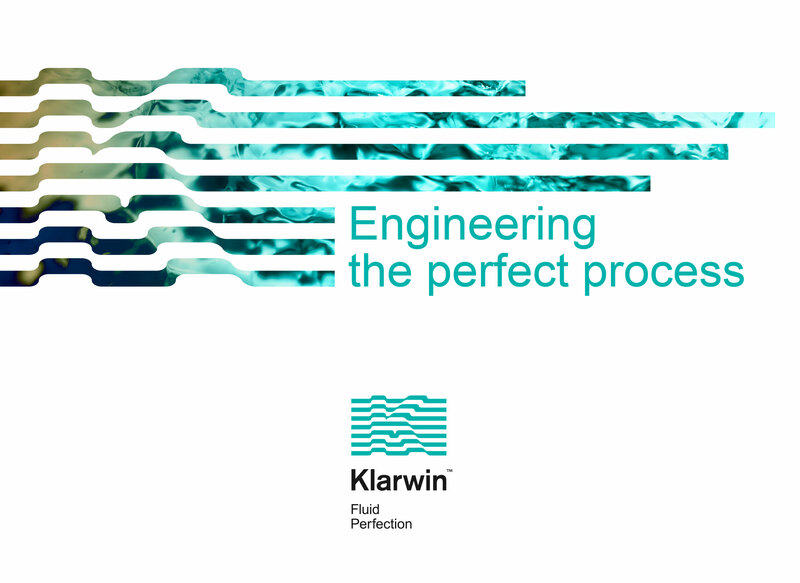 A regional pioneer in process engineering, and partnering with the most important international players in the industry, Klarwin offers multiple solutions to players across a wide range of industries — pharmaceutical, beverages, automobiles, aeronautical etc. The brand DNA was clarified through careful identification of the organizational profile, spirit and behavior. The promise — Fluid Perfection® — reflects the organization’s openness, flexibility and continuous collaboration with its business partners, along with its commitment to excellence and comprehensive know-how. Under the new strategy, the brand provides support for growth in international markets, adapted to the diversification of clients’ needs. Moreover, it supports the leap to a higher reputation league, through an identity as modern and differentiated as the ones of its international partners. The company’s original name — Process Engineering — was a descriptor for the category it operates in, limiting the differentiation opportunities. The brand audit and strategy approach prompted the opportunity for a new brand name that is memorable and unique, able to hold a distinct place in the mind of its stakeholders. 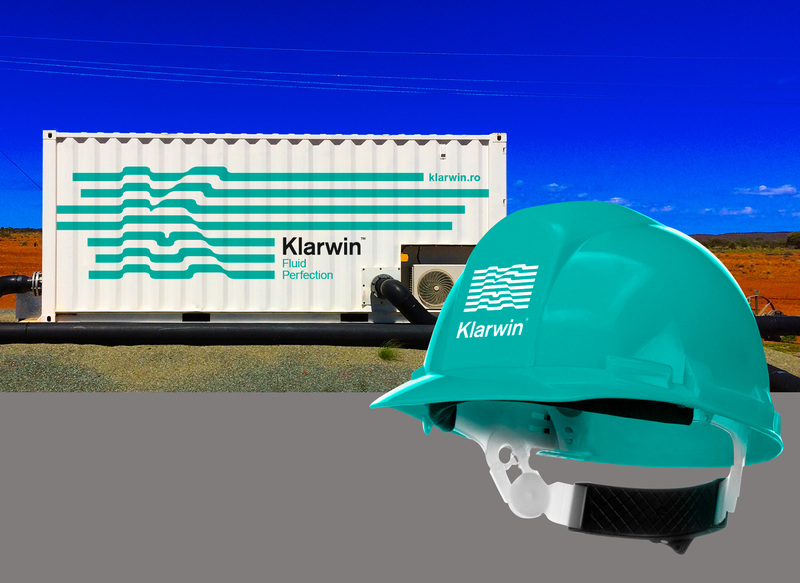 The name Klarwin was coined, underlying both the category’s key benefit (clarity, purity) and a business promise of win-win-win: the success of its clients, the best representation of its partners, and the growth of the company itself. The wordmark comes in a type form that expresses functionality and precision, contributing to the rigorous, engineered aspect. 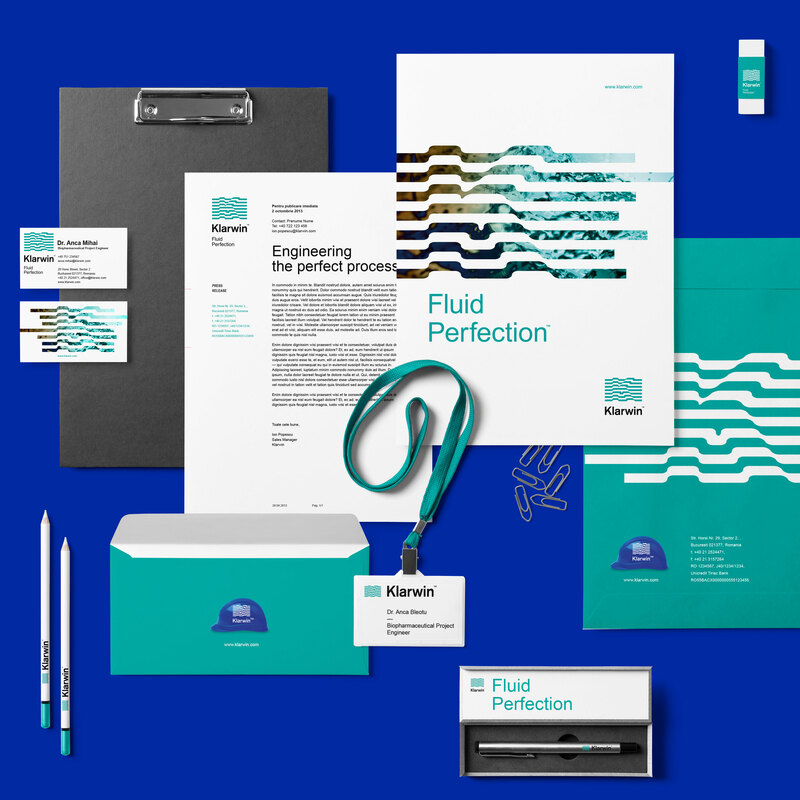 The “Fluid Flag” symbol, along with the watery color, successfully delivers the brand message — clarity, purity and process excellence. 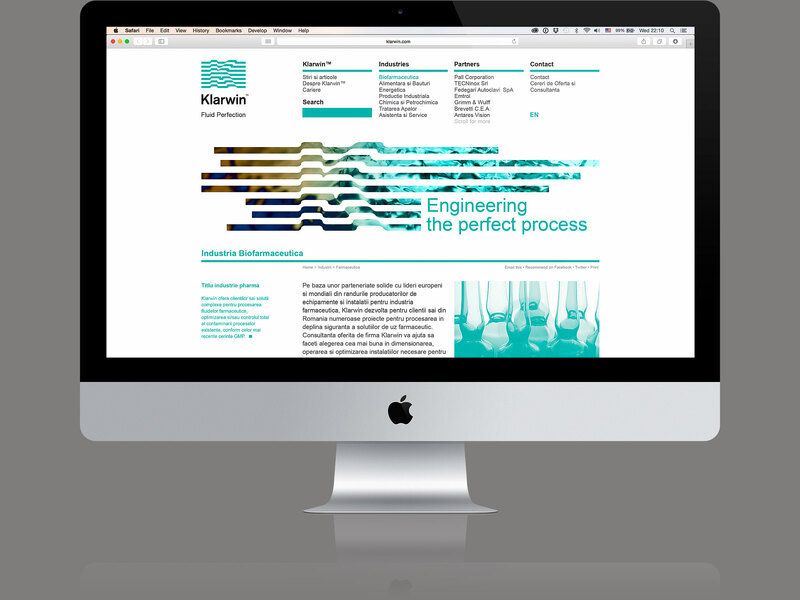 Furthermore, in the corporate applications, the graphic language makes use of elements from the fluid filtering territory. 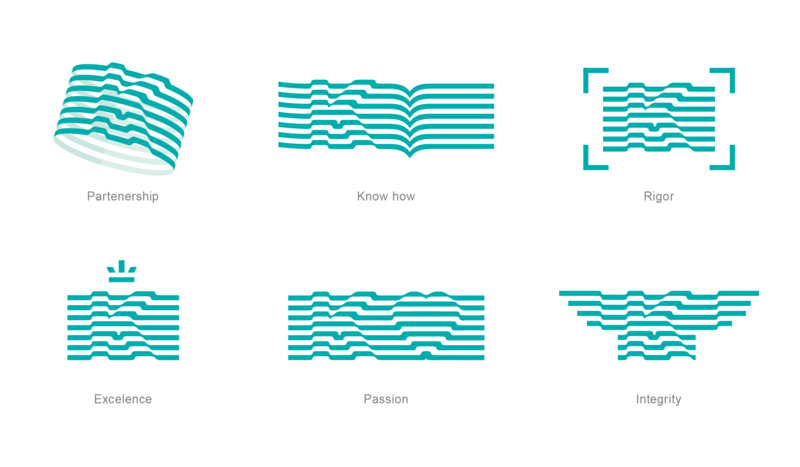 Both the name and the visual identity powerfully convey the shift towards a differentiated, ownable brand territory.